The Hooked on Rings Mirror from Zone Denmark is a stylish wall decoration that is a real eye-catcher in both bathrooms and living rooms. 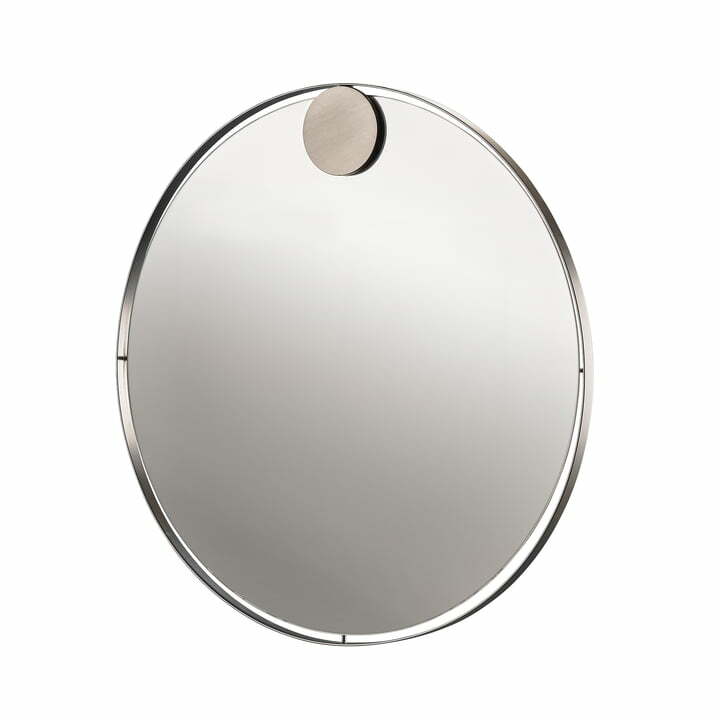 Its round shape is framed by a filigree stainless steel frame in which the mirror glass almost seems to float. A round stainless steel pane overlaps the mirror glass, sets additional shiny accents and simultaneously serves as a hidden wall bracket. In the bathroom, the mirror designed by Mavro // Lefèvre can be wonderfully combined with other Hooked on Rings accessories to create a uniform look that stylishly enhances the bathroom. Hooked on Rings mirror Ø 50 cm in stainless steel from Zone Denmark in single view. 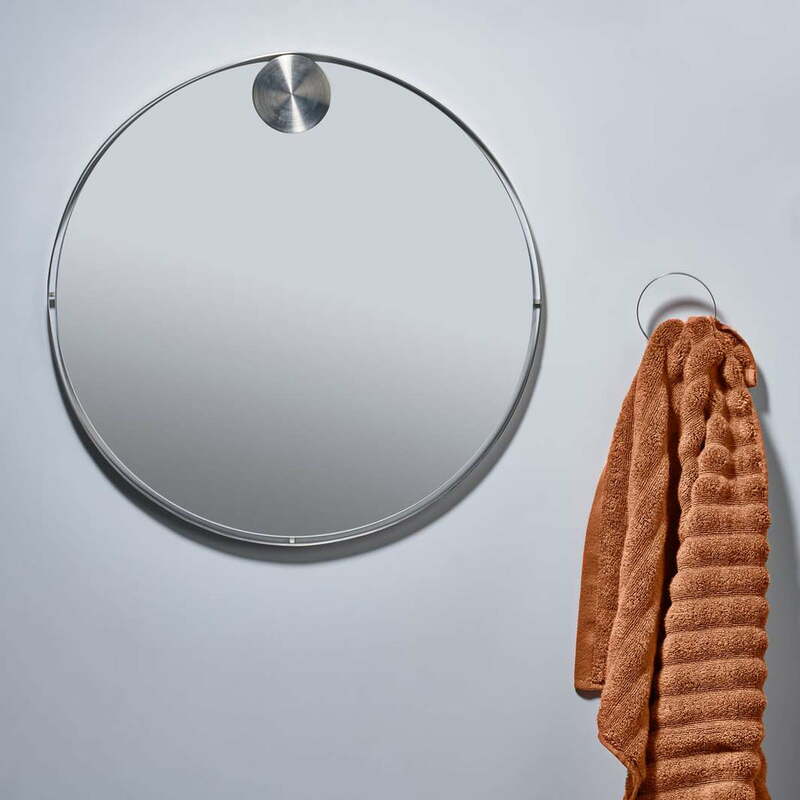 he Hooked on Rings mirror from Mavro // Lefèvre for Zone Denmark is a stylish wall decoration for the bathroom or living area. Its round shape is framed by a filigree stainless steel frame. Hooked on Rings mirror Ø 50 cm in stainless steel from Zone Denmark in the ambience view. In the bathroom, the mirror designed by Mavro // Lefèvre can be wonderfully combined with other Hooked on Rings accessories to create a uniform look that stylishly enhances the bathroom.